Oil refineries and plants are crucial to production, but by their design they can be extremely dangerous. Refineries and plants process extremely volatile chemicals and substances under tremendous pressure. These circumstances can easily lead to accidents if the proper safety precautions are not taken. Refineries consist of a maze of pipes transporting oil throughout the different stages in the refining process. A small defect or hazard in one part of the complex can cause devastating explosions across the plant. Additionally, if even the smallest safety measure or precaution isn’t taken, the pressure in the pipes can easily cause an explosion. In order to reduce the risk of accidents at plants, employers need to make sure every employee is properly trained on how to use all of the tools, equipment, and machinery that they use and work around. When employees are not trained properly, they can easily mishandle chemicals or misuse crucial equipment. Plant explosions cause devastating injuries and can easily be fatal. 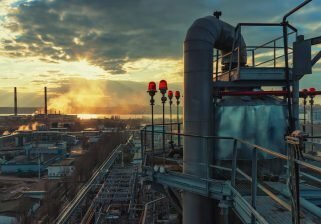 Victims of plant explosions can suffer a wide variety of serious injuries including burns from heat, chemicals, and or electrical equipment, shockwave injuries from the blast, traumatic brain injuries (TBIs), neck and back injuries, amputations, broken bones, and abrasions. Because of the severity of plant explosions, victims will not only require emergency medical treatment, but oftentimes also require additional surgeries, long-term medications, physical therapy, and specialty medical treatment. For many plant explosion victims, the injuries they suffer are permanent. Permanent injuries can not only be disfiguring, but can also limit an injured worker’s ability to work and earn income. Some victims will require a lifetime of medical care. Because Texas employers are not required to subscribe to the workers’ compensation system, plant owners are not legally required to provide compensation for workplace injuries. This means most plant explosion victims are left paying completely out of pocket for the damages caused by their accident. The only way for victims to get complete compensation for their injuries is to work with an experienced plant explosion lawyer. Victims of plant explosions and their families should be focused on one thing: recovery. When you work with Sahadi Legal Group, you can rest easy knowing an experienced legal team is looking out for your best interests and pursuing the maximum amount of compensation. Contact the experienced Corpus Christi plant explosion lawyers at Sahadi Legal Group today for a free consultation.